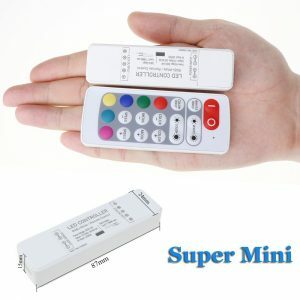 2.4G Wireless Remote Controller Receiver. 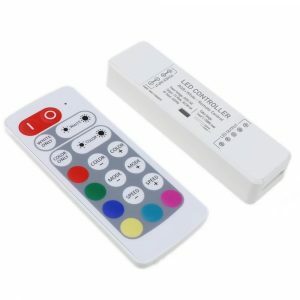 2.4G Wireless Remote Controller Receiver. 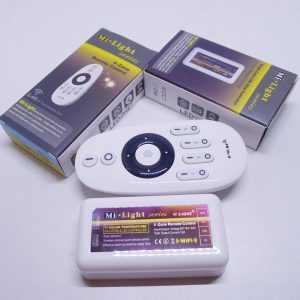 Remote Distance: 30m. 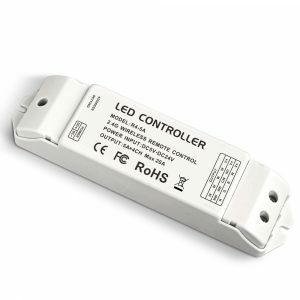 Output voltage: DC3V~DC46V. 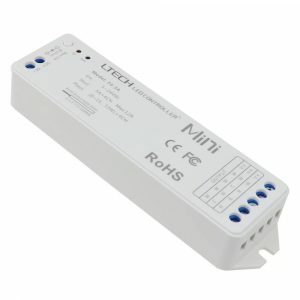 Output current: CC 350/700/1050mA * 4CH (3 in 1) . 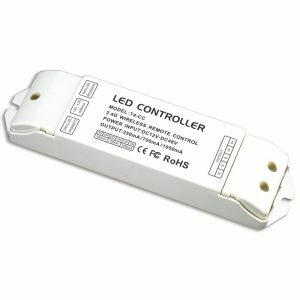 Output power: 1.05W~48.3W * 4CH, Max 193.2W. 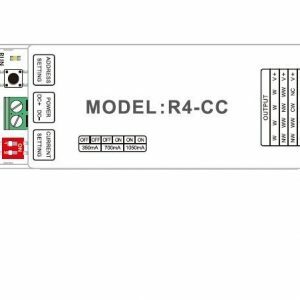 NOTE: T4-CC Receiver is ONLY suitable for T4 8-zone RGBW Remote (ASIN: B00UFN9XL4). 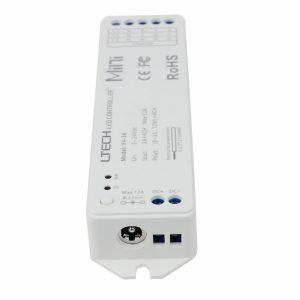 RGBW 4 Channel control. 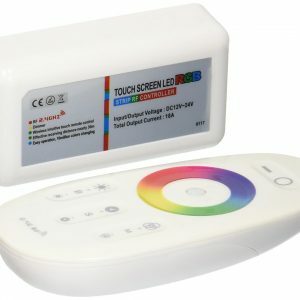 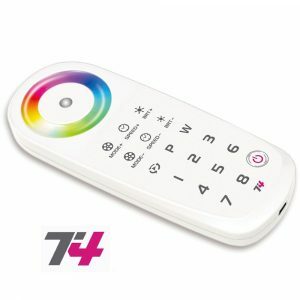 T4 is available for RGB and RGBW LED lights. 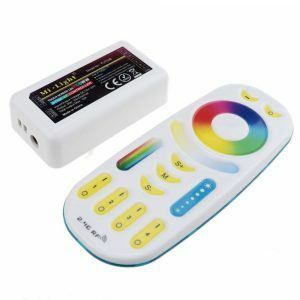 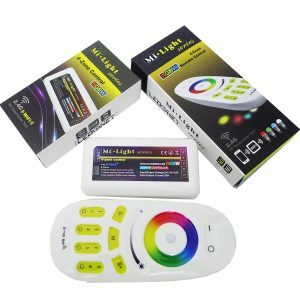 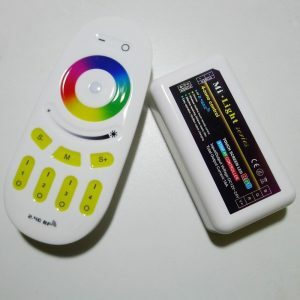 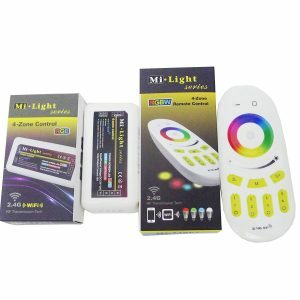 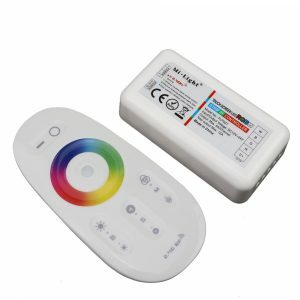 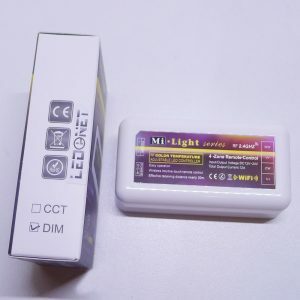 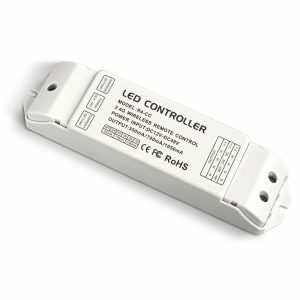 A single ON/OFF function for White color and also dimming brightness independently. 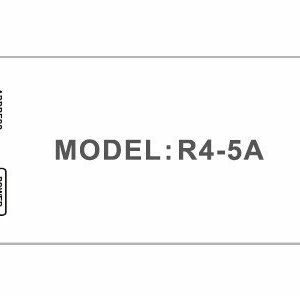 No wiring needed between the receivers. 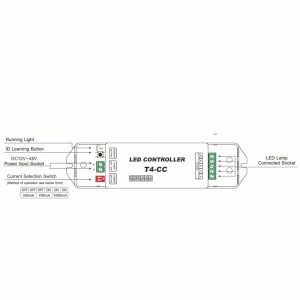 T4 utilizes advanced RF synchronous control technology, it doesn’t need any synchronous signal lines between all receive controller,Synchronization performance is stable and reliable, a very good solution for the LED project needs sync control wirelessly. 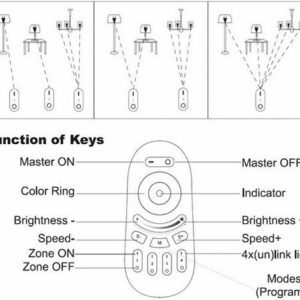 No more than 8 zones. 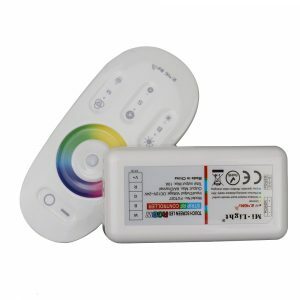 T4 can support no more than 8 zones, one remote control can independent control the receiving controller no more than 8 pcs. 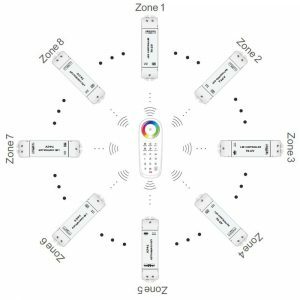 Controller and the zones number for one-to-one correspondence relationship, each controller correspond the only zones number.